Field Service companies around the world are turning to web based field service software as a way to streamline their operations, save money and provide the highest quality customer service possible. Bella FSM is a service automation and scheduling solution that helps companies effectively manage the entire service life cycle of their service orders and appointments. More importantly, it helps them get paid quicker and reduces the support costs. Efficient service management helps reduce response times and cost, improves first-time ratios and resulting in increased revenues and customer satisfaction. 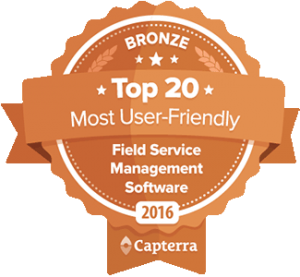 Businesses can track and manage every detail of their field service operations. Quickly capture service needs to shorten the time between call receipt and job assignment. Track resource commitments, match tasks to best available resources, and generate work orders. Streamline processes to reduce response times and costs, resulting in increased revenues and customer satisfaction that ultimately give you a competitive advantage. Bella FSM is a tool that helps effectively manage company resources and a work force that is deployed in offsite locations. It is typically for field staff who do their job at the customer locations, these could include technicians, landscape designers, office cleaners, electricians and plumbers. They work directly with the consumer and may sometimes be the only direct contact between the customer and the company. Their interaction is significant to the overall success of the operation. With this in mind, the intent behind implementing field service scheduling software is enabling companies to meet and hopefully exceed customer’s expectations in terms of efficiency, timeliness, cost, and satisfaction. Field technicians and the office remain connected throughout every service, they have complete access to all service information and customer data whether on a phone, iPad, or laptop. Field service management has evolved from being out-of-reach to being in continual contact, the ability to autonomously handle every situation with access to easily available resources. 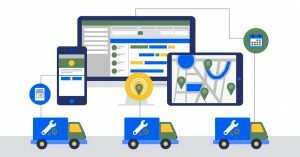 Organizations can now efficiently dispatch the proper personnel with the appropriate skills to each unique work site. Service requests, customer information, product history and required materials are instantly at the technician’s fingertips, equaling time saved for everyone. Schedules are created automatically or by using tools on the graphical dispatch board, identifying the status of service orders easily. Once you get an inbound call from a customer, quickly capture service needs and access customer, site, history and resources information to shorten the time between call receipt and service or job assignment. Track resource commitments, match services to the best available resources, and schedule and if required generate work orders. Manage daily or weekly schedules automatically or using drag-and-drop. Productivity gains with no time wastage translates into cost savings and better profits for any organization.